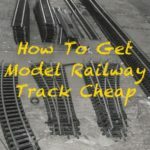 Just getting started in model railways? Here are 40 essential must-know words for your new hobby. From AC to Z Stop, in alphabetical order you’ll find them here. AC: Alternating current. The mains electricity supply that comes into your house. 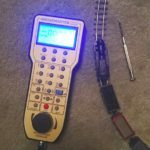 Analog Control: The traditional power and control system for model railways, trains are controlled by changing the voltage and polarity on the track. 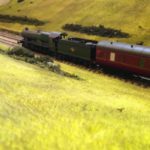 Backscene: A photograph or painted backdrop to add depth and realism to your railway. 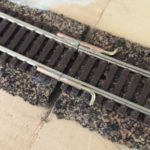 Baseboard: The base on which a model railway is built. Typically wooden. Bogie: The wheel unit on rolling stock. Branch: A section of the railway split from the main line to connect with a nearby town or service facility (ports etc). Cutting: Literally a cutting through hills to allow the railway to run through them. 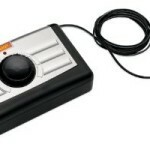 Controller: A control device allowing you to set the speed and direction of your trains. Crossover: Points that allow a train to divert onto a parallel line. DC: Direct Current, the supply that the trains run on, converted from the AC supply and scaled down to the right voltage by the rectifier/transformer. Digital: The latest train control system. In digital model railways, the same voltage is supplied to all trains on the track (see analog) but commands are sent to individual trains to control their direction and speed. Digital Command Control (DCC): Allows multiple trains to be operated on one layout and even section track and with different acceleration levels. Fiddle Yard: Part of your layout (usually hidden from view) where trains go to be turned for the return journey. Usually disguised – behind hills, etc. See my guide to fiddle yards. Gauge: The distance between the rails on a piece of track. See Gauge and Scale. Headshunt: A section of track which connects to sidings allowing trains to be shunted there so as not to block the main line. Loading Gauge: The area to the side and above the track that trains can pass by without hitting something. Locomotive: The engine part of a train, the unit that pulls or pushes the rest of the train. 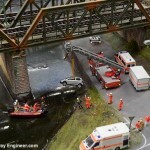 British N scale/gauge: A model railway scale and gauge, rolling stock is to a scale of 1:148 while the track is 9 mm. NEM Standards: Standards for model railways in Europe published by The European Federation of national model railway associations. NMRA: (National Model Railroad Association) were the first standardised model railway scales (in the 1940s) with NMRA standards still widely used in America. OO/Double-OO: 16.5 mm gauge, 1:76 scale (the most popular scale for railway modelling in the UK). Point: A part of the track allowing a train to move from one section of track to another or turns one track into two or more tracks, see turnout. Rail break: A break in the rails, used to separate one section of track from another. Rectifier: Part of the electronics of the railway converting AC current to DC. Rolling Stock: The trains, wagons, passenger cars – anything that runs on the tracks. Scale: The relationship in size between the model and the full-size trains. Scatter materials: Materials scattered onto your layout to give the impression of earth, grass etc. 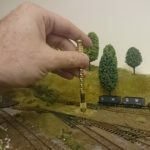 Scenic break: A visual pause between different sections of your layout to give the impression of distance or to hide a section of your layout (Fiddle Yards being the most obvious example). Shunting Yard: An area where trains can be stored, loaded and sorted. Siding: Short sections of track used loading, unloading and temporary storage. Transformer: Scale voltages up or down. Often associated with rectifiers. Turnouts: Another word for points and the one most commonly used by modellers. Weathering: Painting and “decorating” new models to make them look used and hence more realistic. ‘Y’ Point: A section of track in a ‘Y’ shape, turning a single section of track into two parallel tracks. Z Gauge: 6.5 mm gauge, 1:220 scale. Z Stop: A stop for passengers when trains don’t have lavatories. If you found this guide to 40 top model railway buzz words useful, you might also find my beginners guide to model railways helpful. If there are other words you’re trying to understand, take a look at model railway glossary – the most complete guide to railway modelling terms available.